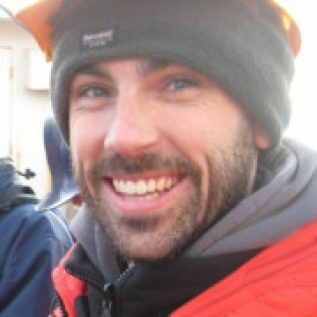 Tom Brown is a Lecturer in Marine Ecology and Chemistry at the Scottish Association for Marine Science (Scotland). He is involved in four projects (ARISE, Arctic PRIZE, DIAPOD and Diatom-ARCTIC) in the Changing Arctic Ocean Programme. Within each of these projects he will use diatom highly branched isoprenoid biomarkers to study the biogeochemical cycling of sea ice and phytoplanktic algae and make quantitative assessments of sea ice carbon as a source of energy for the ecosystem. In the DIAPOD project, he will explore the use of sea ice carbon for overwintering copepods during diapause. In the Arctic PRIZE project, he will make quantitative assessments of sea ice carbon uptake in the benthic ecosystem. In ARISE, he aims to determine the importance of sea ice primary production as an energy source for marine mammals.